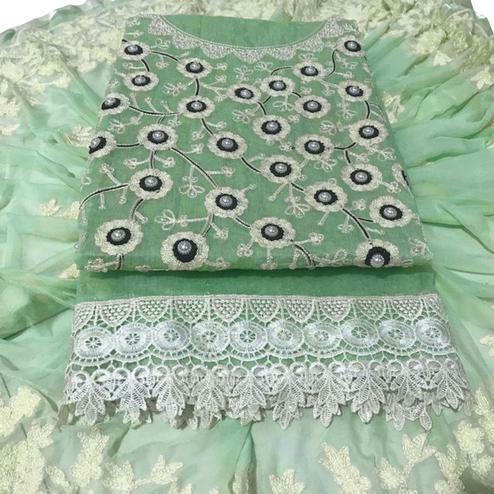 Make the heads flip whenever you dress up in this lovely green-blue colored dress material designed using cotton jacquard with lovely embroidery work which is sure to match your choice. 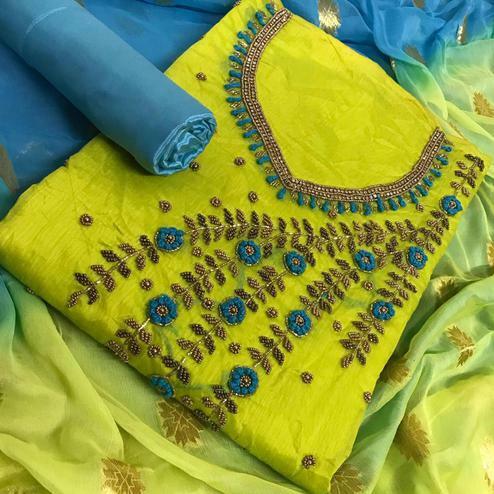 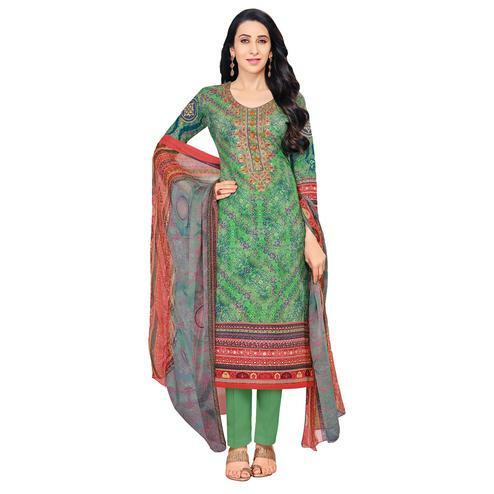 This unstiched suit comes along with cotton bottom and printed chiffon dupatta. 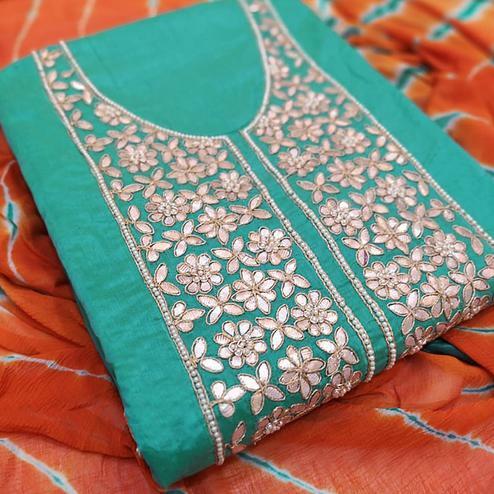 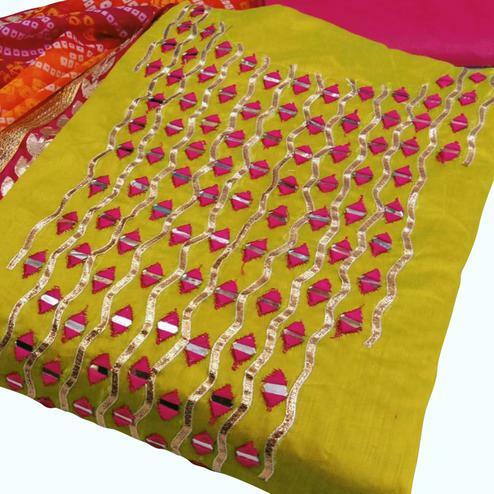 Grab this dress material and get it stitched in to salwar or churidar suit according to your fit and comfort. 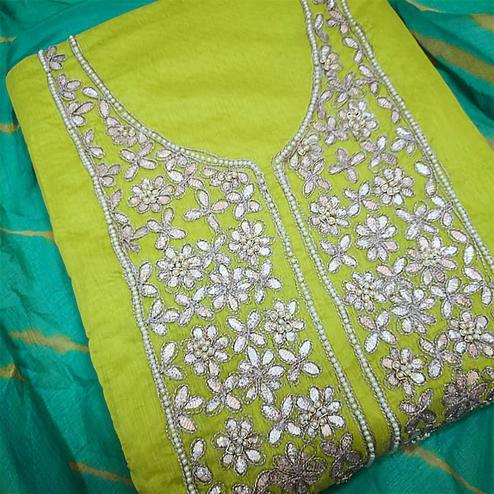 Ideal for office, casual outing, parties and social get together. 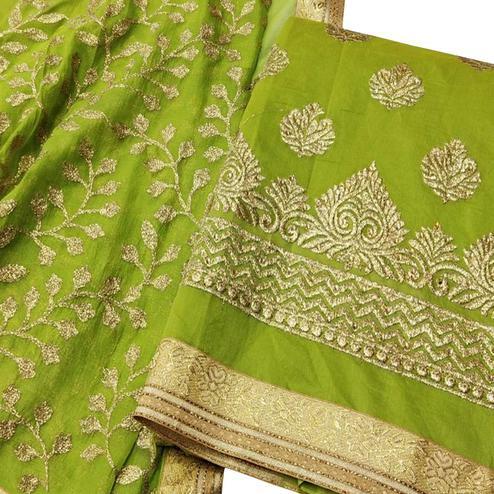 Team this with a pair of matching earrings and heels for the perfect look.